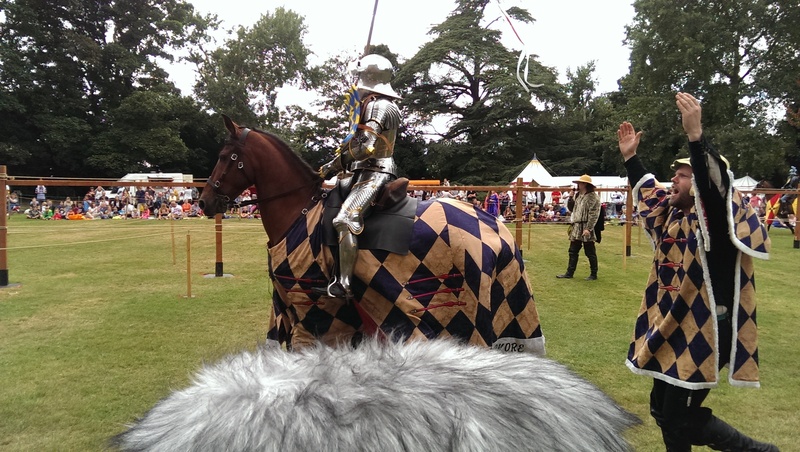 After some research about historical events, I discovered that Castle Hedingham were putting on two days of medieval activities over the August bank holiday weekend. It’s pretty difficult to record sounds form the past but this was as good a chance as any to record something from our distant past…and have a good day out too. I recorded a few of the internal spaces of the castle itself which had plenty of visitors and some demonstrations of medieval needlework and weapons. There were plenty of activities from yesteryear, but most had a modern accompaniment from the compere on the PA system. But I did get reasonable recordings of the band of minstrels, and the whole of the jousting contest from a privileged position next to the lady who does the scoring.